Thank you for your interest in meranti plywood from Tumac Lumber. We are one of the first companies in the world to use Nature’s Barcode™ to verify that our meranti plywood consistently meets the above specifications and legal requirements in the country of harvest and manufacture. ALL TIMBER USED IN THIS PRODUCT IS HARVESTED FROM CERTIFIED NATURAL FOREST CONCESSIONS. 100% of the meranti used to manufacture this product has been verified to come from natural forest concessions that have been certified against the Indonesian Sustainable Forest Management standard (Pengelolaan Hutan Produksi Lestari). 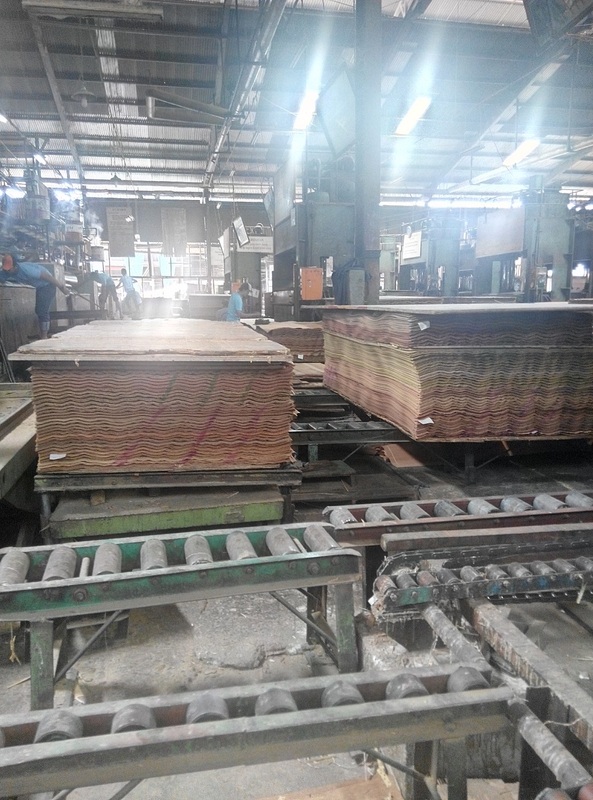 This standard was developed as part of the Indonesian Timber Legality Assurance System. See here for more information. FULL PRODUCT TRACEABILITY BACK TO CERTIFIED FOREST SOURCE MITIGATES RISK OF TIMBER SUBsTITUTION. Certification by itself is not always sufficient to reliably demonstrate legality. Therefore, our system goes further to ensure good record-keeping along the supply chain so that our products can be traced back to logs cut during a certain period of time. Physical barcodes on all logs received allow for traceability back to specific certified forest concessions. Ongoing verification ensures that high standards of record-keeping are maintained and any changes in log supply are monitored. This provides comprehensive evidence of legal purchase, trade, transport and processing at every stage of the supply chain. • supply chain analysis to assess the level of traceability back to forest of harvest, and compliance of all entities in the supply chain against Indonesian legal requirements. Frequent random, desk-based document checks are performed on manufacturer log purchase, log transportation, log delivery and product export records. This process maintains confidence that an unbroken chain of custody exists linking product back to forest concession, and a full set of legality documentation is available for every shipment. • Product "backtrack" to match product output with raw material (log) input on a randomly selected sample of product bundles. • A "log reconciliation" audit to match log purchase, transport and factory receipt records, together with a sample of physical log markings on logs in the log yard. The number of bundles and logs randomly selected for verification is calculated based on a Statistical Process Control methodology. • Log procurement and production processes are reviewed to monitor changes in practices that may impact supply chain risk. As DNA verification tools become available, these will be applied to verify the accuracy of the physical barcodes applied to the logs by the concessions. DNA testing will allow us to verify adherence to the authorised sustainable harvest plans. Tumac’s commitment to ethical business practices and responsible interactions with natural resources are critical to the continued success of our company and the health of our planet. We choose global partners who support these core values to meet or exceed the strictest standards of environmental management. Through the use of Nature's Barcode™, a third party verification system, we have adopted a system that demonstrates industry-leading due diligence that aligns with our stated values. For more information about Tumac and our other products, visit our website. © Tumac Inc. & Double Helix Tracking Technologies Pte Ltd. All rights reserved.